I started my week lousily and I hope yours is better than mine! 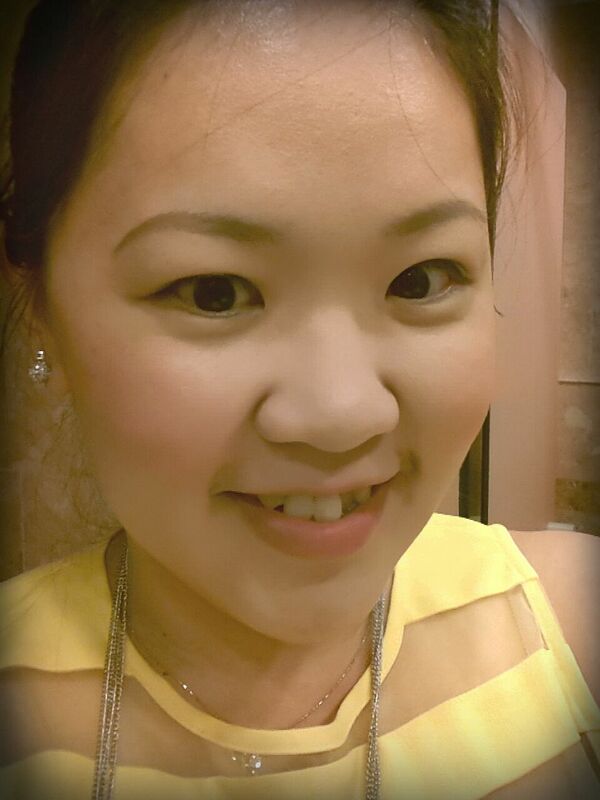 The weather recently has been sooooo warm that I think my skin is dehydrating. I've been downing myself with bottles after bottles of water yet still feeling thirsty. Have you ever wonder how your skin feel under such hot weather? Skin makes up about 15 percent of your weight, covering 12 to 20 square feet. 70% water, 25% protein and 5% fat. 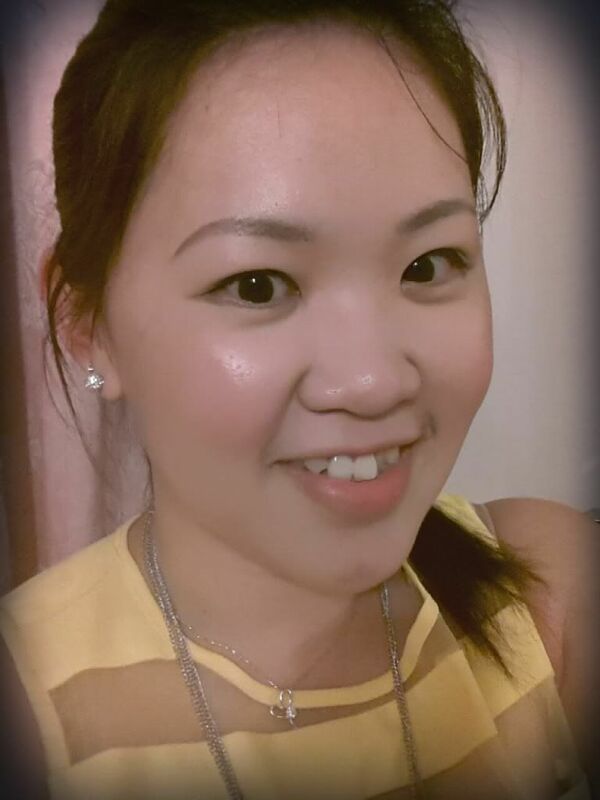 So in this post, I will be sharing with you on how I usually hydrate my skin. 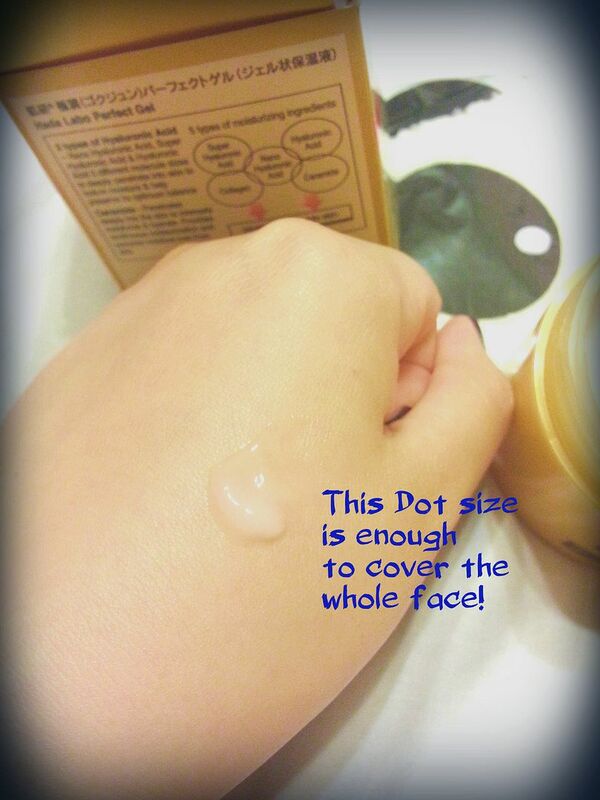 Of course, mine may not be the perfect way, so I would love to know how you keep your skin hydrated! First question for many of us will be how do we know if our skin is hydrated? Well, I measure it by how well my make up stays on the skin and the radiance that it gives. So here came my saviour! How do I usually hydrate my face? This will clean off all the impurities and dead skin on your face which is hindering the makeup to stay on. No doubt this is an important step in the cleansing to achieve the hydrated skin, BUT this exfoliation can only be done 1-2 times a week. Over exfoliating will cause the skin to be injured and I doubt you will wan to have that right? I spam this once I come out from the shower room, cos the pores are still open and by immediately applying the toner, the pores can absorb the "good stuff"
This is one important step to keep the skin hydrated. This will gives a deep in depth hydration to our thirsty skin. The first 24 hours mask that I got to know of is the Laneige 24hr Water bank, but more and more brands are coming up with similar if not better formula hydrating mask. For me, I love facial products that are non-cream based cos I have oily T-zones, so I tend to choose products that are gel based or water based. 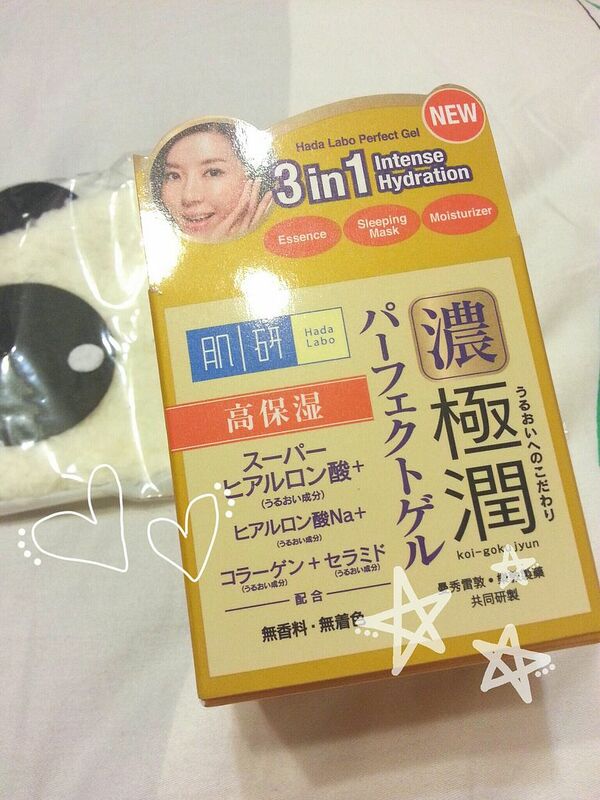 And HADA LABO kindly sponsored me a tub of 3 in 1 Intense Hydrating Perfect Gel! Did I mention GEL? Yes, it's GEL! I super love the gel texture, to many it may be gluey but I'm a fan of that. 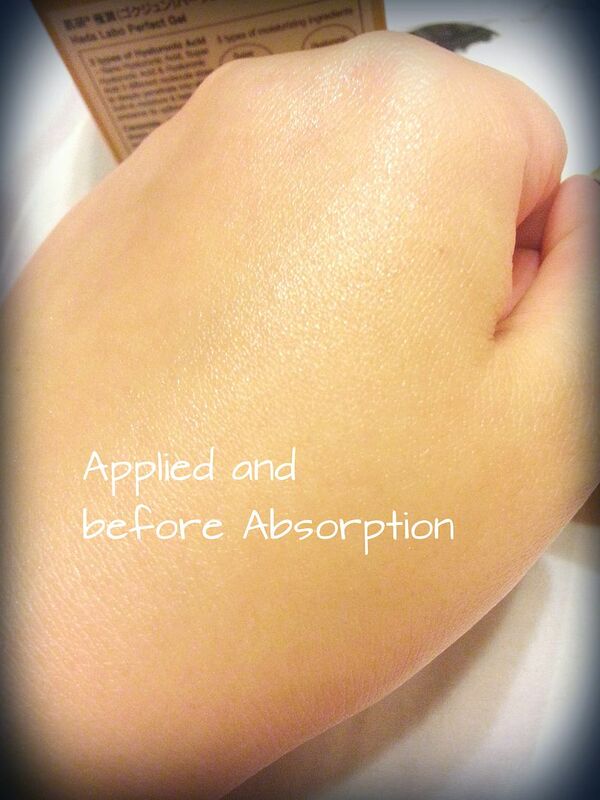 And gel is way better in giving hydration to the skin as it is not oil based and does not clog pores. For me oil based products tends to clog pores and resulting in more blackheads. Hada Labo actually stands for the lifestyle philosophy of "PERFECT x SIMPLE" a skincare range that brings beauty back to the basics - Perfect, Simple & Confident. And they are famous for the Super Hyaluronic Acid Hydrating Lotion and 1 is sold in every 2 secs in Japan! WOW~! 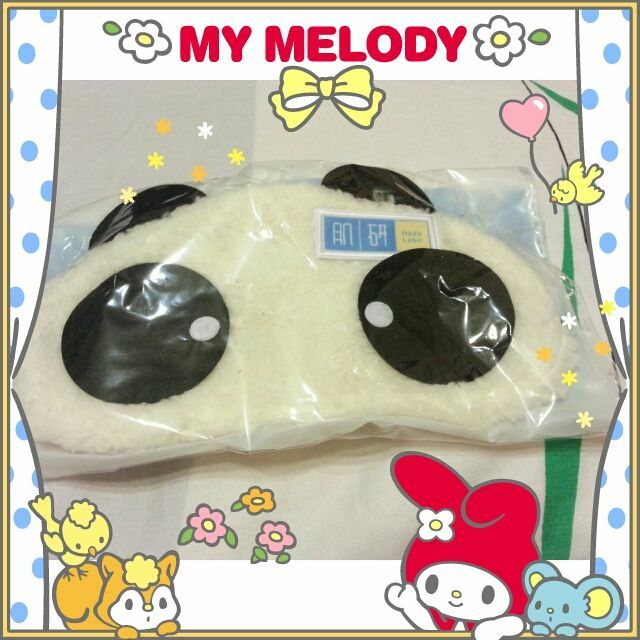 Cute Panda Eye mask that comes along with the mask! Sleep is the time when the body repairs itself. During these optimal seven to nine hours of sleep, the body is rested both physically and mentally from a day’s activities. As such, many hair, face and body products are most effective overnight as the body absorbs it better. Hada Labo introduces the new Hada Labo Perfect Gel to replenish the skin’s moisture while you sleep. Being all essence, cream and mask at once (3-in-1), the Hada Labo Perfect Gel is also suitable for daily use with the ability to provide 24 hours deep moisturizing effect with its five main ingredients. The Hada Labo Perfect Gel has a rich cream texture that is non-sticky, allowing your skin to feel light even after applying. Its versatility and effectiveness has won the hearts of so many women that it is No.1. Sales in ‘All-in-One’ gel product segment in Japan. 4. As the body’s collagen levels decline, the skin starts to age with wrinkles, large pores and poor skin clarity. 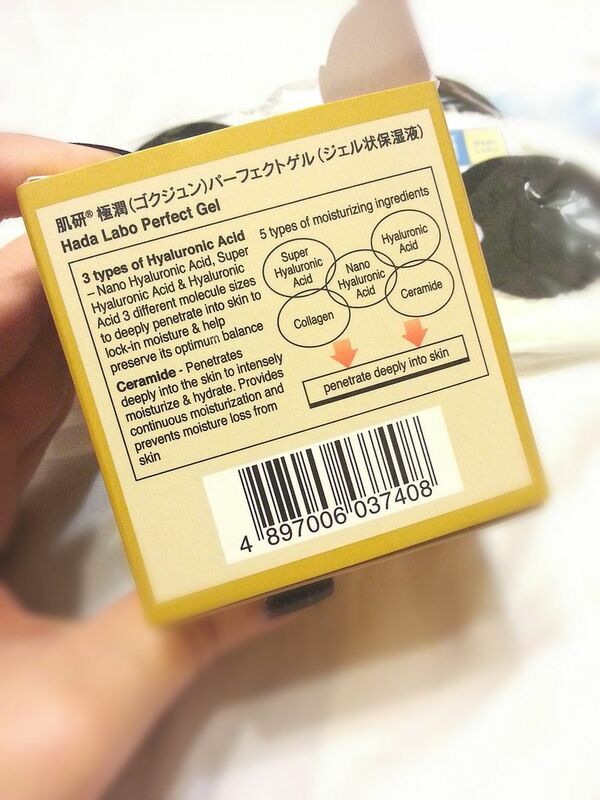 The Hada Labo Perfect Gel contains collagen to provide firm, elastic and wrinkle-free skin. 5. Skin that lacks ceramide is often dry,irritated, and often easily affected by the sun and dust in air. 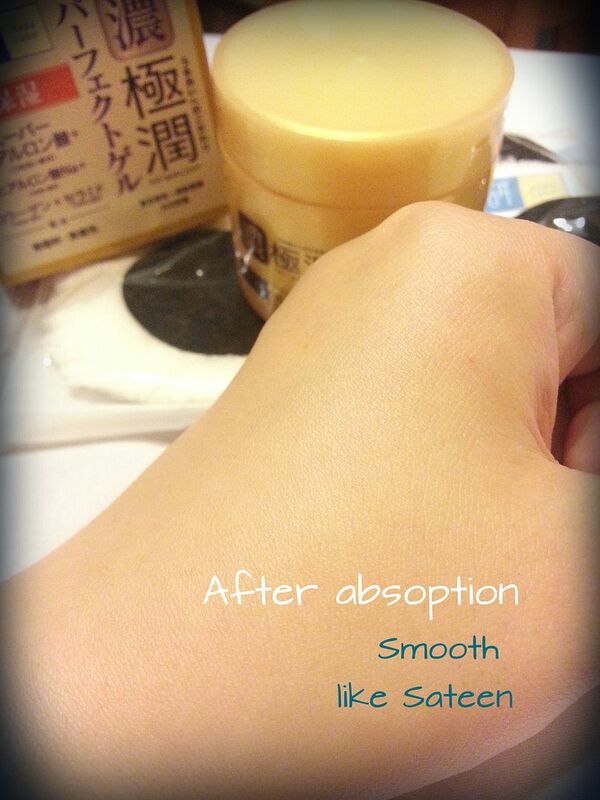 Hada Labo Perfect Gel help to hold and repair the surface skin cells together for a healthy, smooth skin. Look how dense the gel is, that it is sticking to my finger against the gravity and not rolling down the fingers! Can you spot the sheen on my hand? This is how hydrated it feels on application. The texture is smooth and glides very well on my skin and apparently this small little droplet of gel managed to cover from my palm knuckles all the way to the fold at the elbow area! After dapping, my hand feel as if it had a layer of satin over it. If you can't, the after absorption, the hand actually had a matte feel and my fingers can literally glide on it. Soft, supple, smooth and hydrated!! Photo of me before lunch, which means it was midday already. Oil Control was pretty good, just a little oil at the top of the forehead near the hair line. More oil can be seen from the photo as there's some reflective on my face. Make up still staying there. Lastly, I did a "death" test. 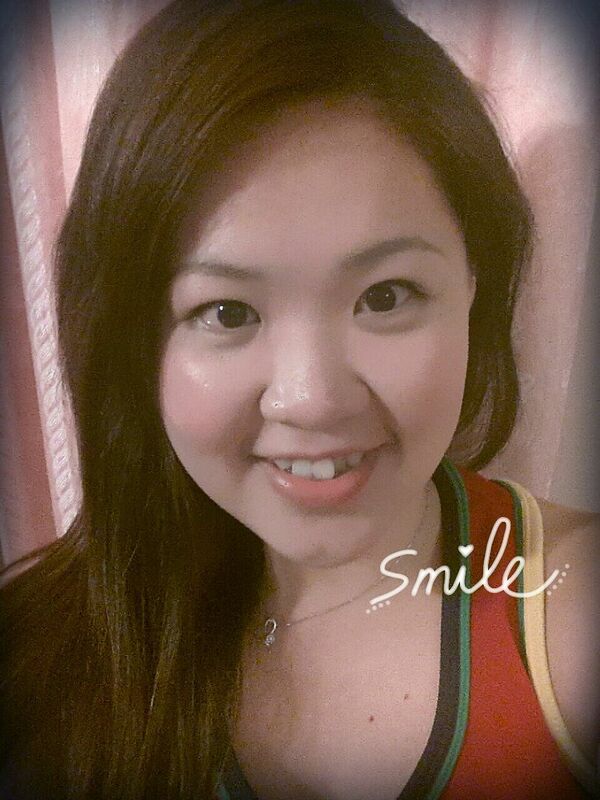 I went jogging with the make up on! Sweaty face. Maybe the photo can't tell much cos the resolution was bad. To be frank, my face was soak in my sweat and the makeup started to come off a lil. Oil started to fill my whole face. I will recommend this to busy and lazy people like me who hate the don't know 3628546steps to perfecting our skin. LOL~! 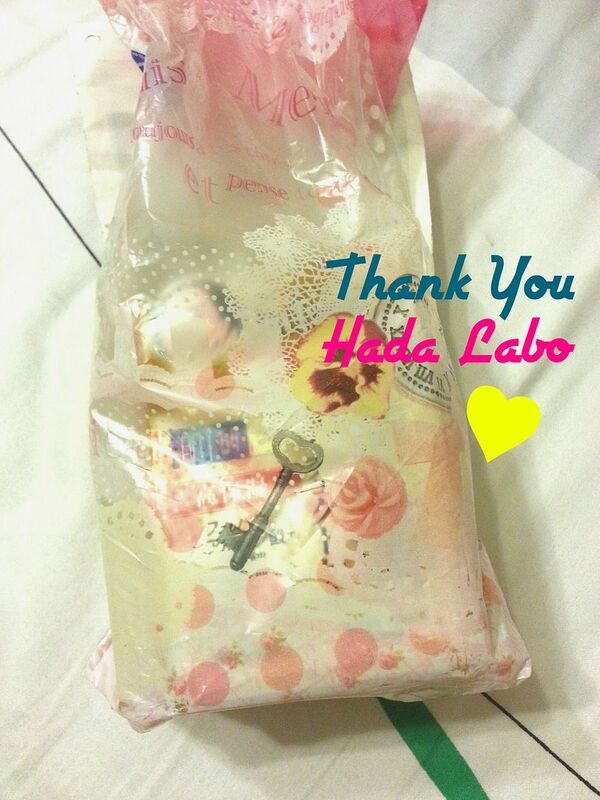 Lastly, please remember to like HadaLabo on Facebook! 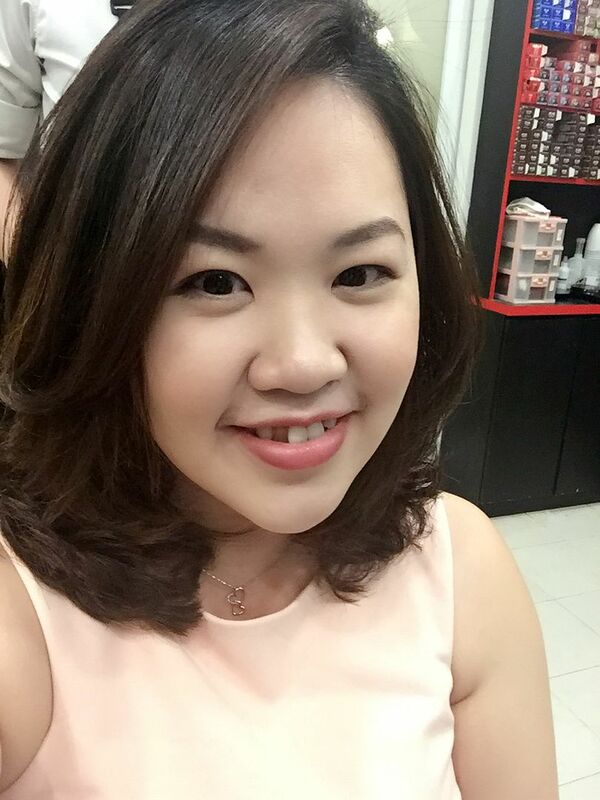 Thanks HadaLabo Singapore, Elfaine & EK MEDIA PTE LTD for the sponsorship!